“It is not Giotto’s influence in Mondrian, is Mondrian’s influence in Giottto”. 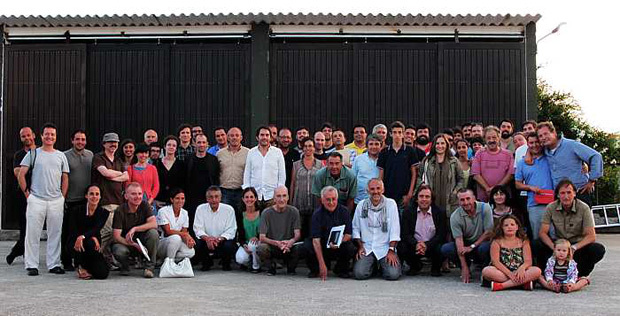 The public of Callobre and the Arquitectura y Territorio rural annual days of the Maria Martínez Otero foundation in A Estrada. “The perception of the rural territory of Galicia as a social, constructed space, becomes clear for anyone that has looked at it with something of attention at some time. This construction of the natural thing, which is done modélica in the materiality of the traditional architecture, in the unit between the house and the agricultural labors or in the conception of the spaces of community, the fields of holiday or the carballeiras, has not made but suffer an expansion so brutal as over-excited in the second half of the XXth century. This transformation of great part of the territory in a species of city garden disperses, continues and to great scale it runs parallel to the gradual abandon of the traditional logic marries – agro-aldea on that the form of life was constructed in the rural society. To think about the globalidad of this social territory, and on partial aspects of the same one that with that the architecture has to deal as the scale, the activity, the planning, the landscape, the public space, the mobility, the energy, the house, etc. 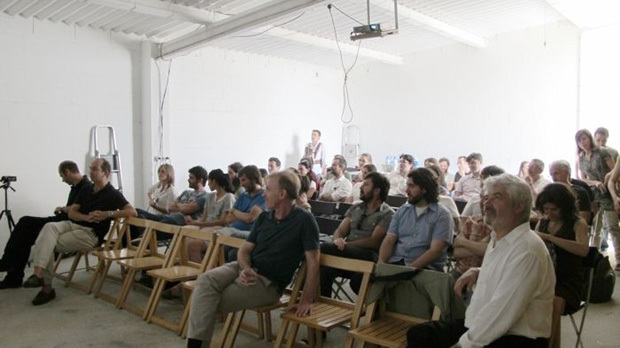 This meeting arises of “architecture and rural territory“. It does it besides from inside this territory, in Callobre’s village, in A Estrada, to conform as a place since to locate year a year, during the summer, in an idea also of holiday and community, to the reflection, to the interpretation of all this world, opened the one who has something that to say and whom it has time also to listen and to see what others, inside and out of Galicia, inside and out of the architecture, they could tell us. No doubt, we believe, this look and offer comes also accompanied from a more wide reflection on the architecture and the current landscape, which departing from the pretext of the Galician territory does not centre only on the own thing, but it is extrapolable in the time or the reflection to any space – geography worried by the events, problems and transformations of the contemporary world. The day, which vital time is the intense one and elongado day, is also a simple, affable and joyful meeting, which is contagious of the calm pace of the location in the middle of the nature. A rural worn out geography that one proposes as playful frame for the tense dialogue of the reflexive thought and the deep collective critique between professionals. 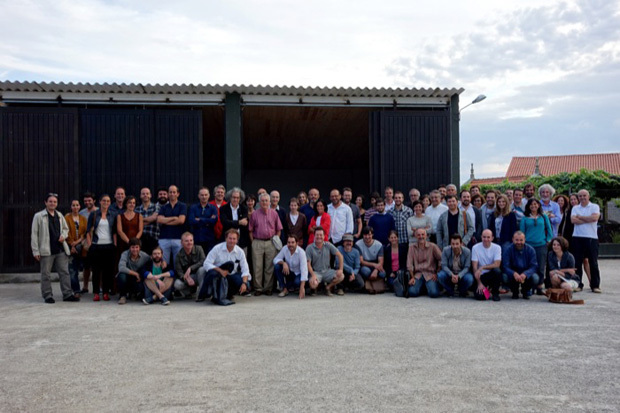 Nevertheless, with these brief words on the Arquitectura y Territorio annual day, of the FMMO, we want to aim at another interest, which for obvious happens naturally unnoticed, and refer to the fact of taking part in the day in the sense of being to be attendees – publics. The foundation since it is logical in every summons puts the elegant maximum and I go to great trouble to balance his guests’ project or referees in a clear line of joint between the close thing and the distant thing, between the consolidated and what is formed, between the central thing and the peripheral thing, across expositions that they are born in the architectural and urban development field and that they prosper and oppose with the subtle traces of projects of the field of the plastic contemporary arts. But beyond this natural worry of the agents for the project to reporting in the figure of the referees, in our reading year after year we believe demonstrates on the other hand the increasing importance of a highly imbricated public and equilibrador of the table where the presentations take place. Somehow and offsetting the interest of the words of the guests, there is the initial silence of an orchestra, professionals’ flood of different fields that are an important part maybe of the best and most wide generation who has been formed in the latter twenty years in Galicia. A few listeners, who in the generational thing are the excellence of a youth highly prepared entreverada in the professional maturity of others, a wide group in the different fronts to which there is applied the trade of contemporary architect but with one to feel only one in the ethical expositions of the work. 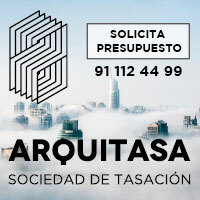 A public who has been formed and combining in areas and interests close, but not only, to the architecture, in that they find besides architects per, new traditional or digital publishers, photographers, designers of different records, public agents and a length etc. about the architectural thing, all of them besides with a high level of commitment. A set of workers of the architecture about the most different scales and spectra of the architectural thing, which are of here and there work here, that are of here and work out, that are of out and work here and sometimes we think that this here it is only the architecture, under the pretext of Callobre, of Galicia, to recover the lost sense of amateur, not with the meaning of the fond thing, but with the semantic perspective of the lover, of the in love thing, that about architecture we can think now that it is what is attacked as culture of the architectural thing, something already so little habitually. We believe in this respect, that the appraisal of these attendees or public as something that subspills the natural and logical interest or value of the offers of the referees, is a draft that comes to make concrete a phenomenon, the appearance or perception of a new generation of workers of the trade of the architecture understood as constant culture, who are a mark of commitment with the work, with the daily trade and with the society to the one that serves, that had not given itself in such a wide and compact set of professionals for long time in Galicia, but for extraordinary exceptions. We do not know if Callobre will give name to this generation, but if we are sure that this generation will remember in years what came happening in the summers of Callobre.